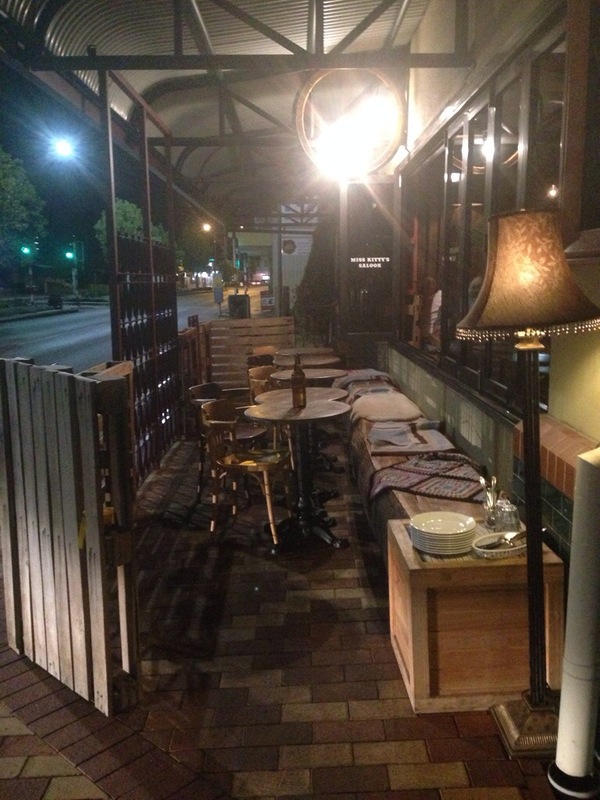 Miss Kitty’s Saloon is an authentic American bar and eatery at the Inglewood end of Beaufort st. It definitely has that saloon feel, it’s like you’ve been transported into the old west. 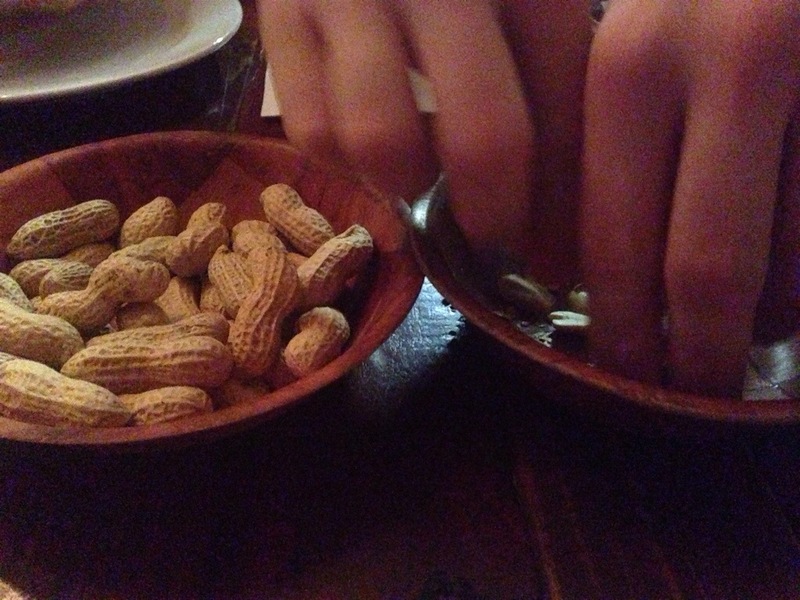 Miss Kitty’s provides you with peanuts to munch on when you arrive. I’ve always enjoyed cracking open the shells to expose the nuts inside. It reminds me of the good old Lone Star days (does anyone else remember this place?) when you could still hurl the discarded shells over your shoulder, and feel them crunch underneath your toes as you walked the restaurant. The food here is designed to share, so we ordered a myriad of things from the menu to arrive whenever they were ready. 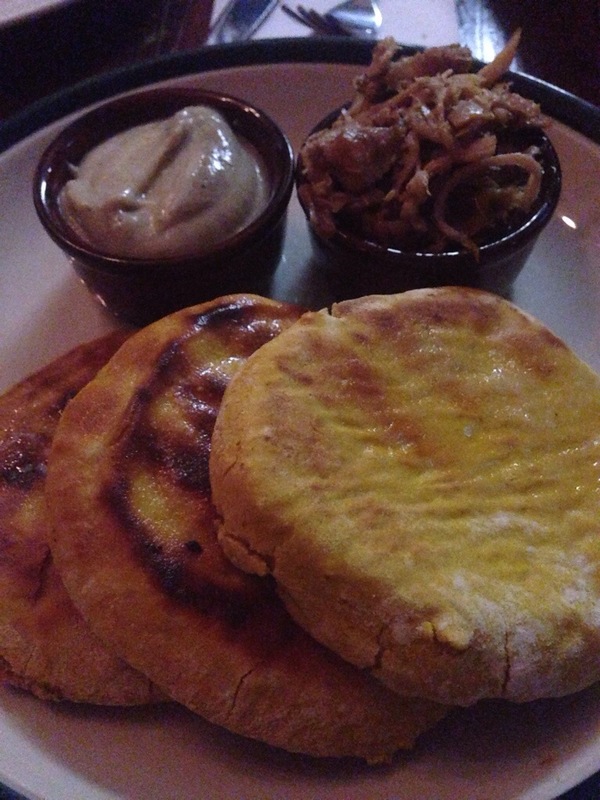 The first thing to make it’s way to our table was the flat bread with pulled pork and eggplant dip. The bread was fantastic, hot out of the wood fired oven, we could see it happen from our table, and slathered in butter. It pulled apart easily and was soft and steaming in the centre with a touch of crispness to the outside. The pulled pork melted in your mouth while the eggplant dip was creamy but not much else. Some like it hot, some like it killer, these hot wing pancakes were definitely the latter. 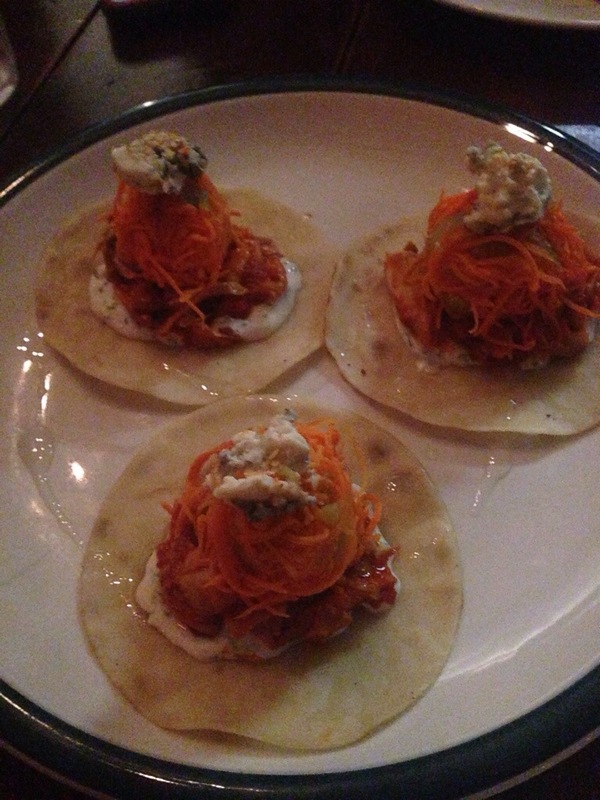 Despite being called ‘pancakes’ it was more like hot wing soft tacos, and damn were they hot. Though not for the faint of heart the pancakes were pretty fantastic, tender chicken, the light crunch of carrot, and that hot sauce. 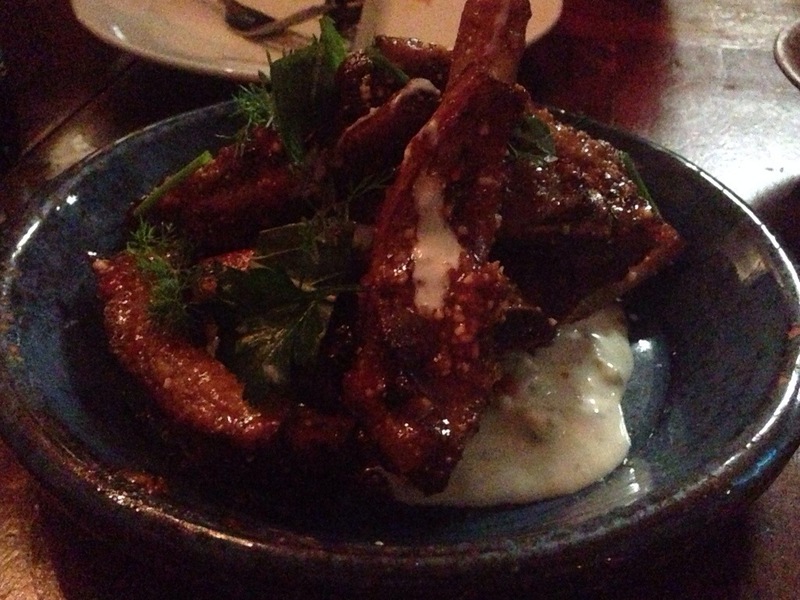 We also sampled the pork ribs, liberally drizzled in a blue cheese and yogurt sauce. They were rich and meaty, the pork was tender with a good spice without being overpowering. The sauce was lovely, soothing some of the spiciness and adding to the flavour. Although it was a blue cheese sauce it didn’t dominate, but the resident ‘cheese smells like foot’ nay-sayer didn’t enjoy the delectable ribs as a result. 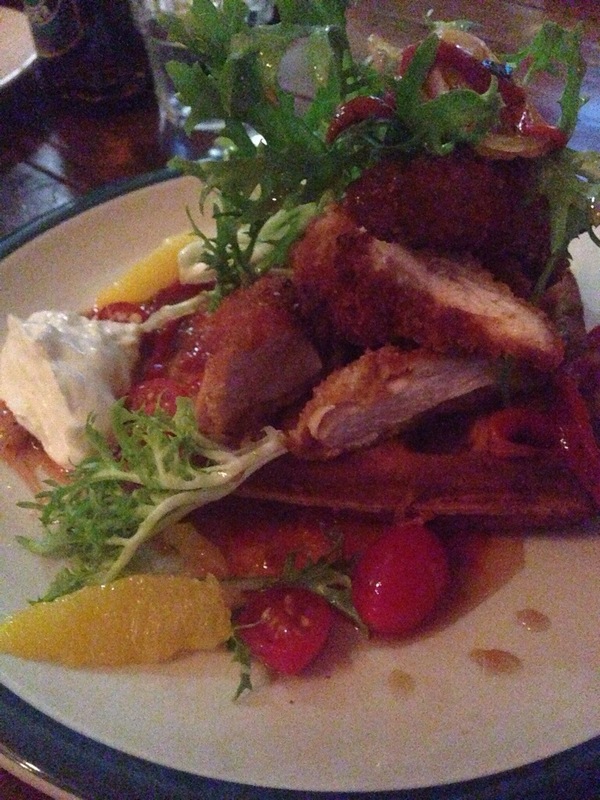 The final main we tried was chicken waffles, with a sweet chilli sauce tomato and citrus. This was a bit of a flavour experiment for us, it was certainly interesting and there was no faulting the tender chicken or soft waffles. However it just didn’t quite come together, the sweetness, chilli and orange wasn’t to our tastes. It’s not something we’d order again. We ordered a couple of desserts to share, but mostly because we couldn’t make up our minds on any single thing. 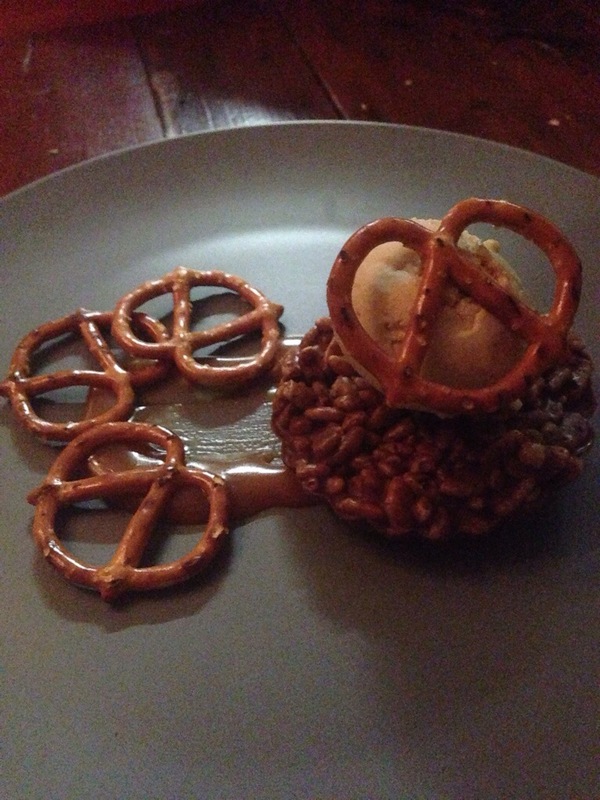 My favourite of the two was a chocolate crackle, with honeycomb ice cream, salted caramel and pretzels. The snap, crackle and pop with a rich chocolate took me back to primary school bake sales, when the humble chocolate crackle was the most prized treat amongst my classmates. This crackle was somehow both light and rich, with sticky caramel and salty pretzels a match made in heaven. I liked that I got dessert without feeling belly-burstingly full. 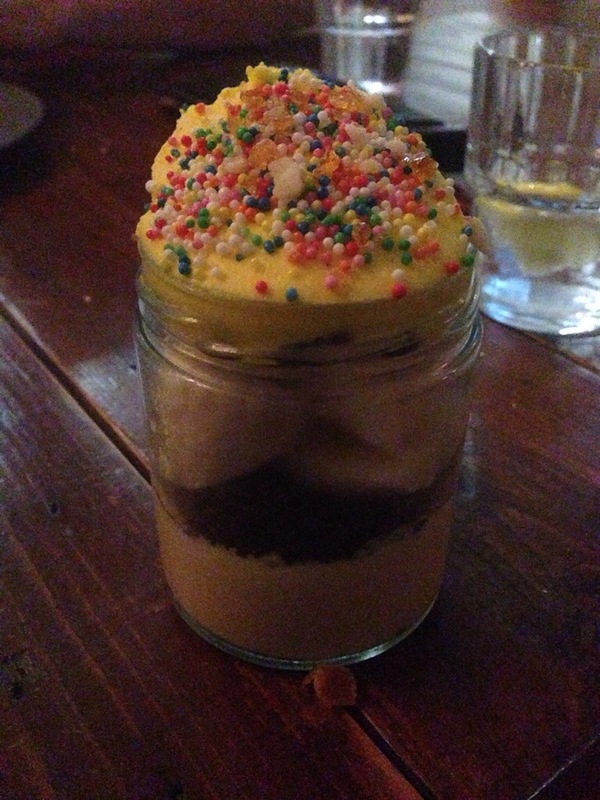 Next was the banoffe pie, a de-constructed version in a jar. It had layers of sprinkles, banana cream, banana, and chocolate caramels. It was the strangest banoffe pie we had ever tried. All the elements were nice, the banana cream in particular was lovely, but it just wasn’t a banoffe pie. There was no sweetness hit, no toffee, the name was misleading and left us a little disappointed. 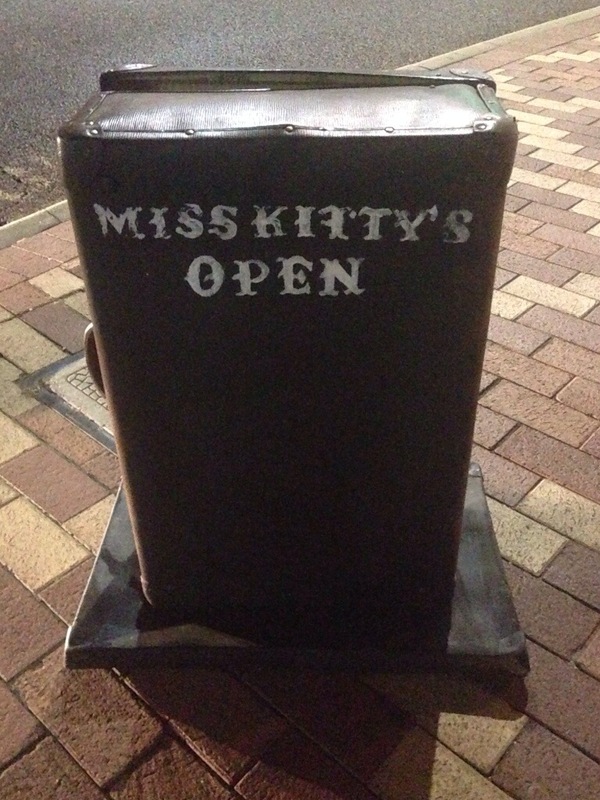 Dinner at Miss Kitty’s Saloon was a nice, and unusual outing. 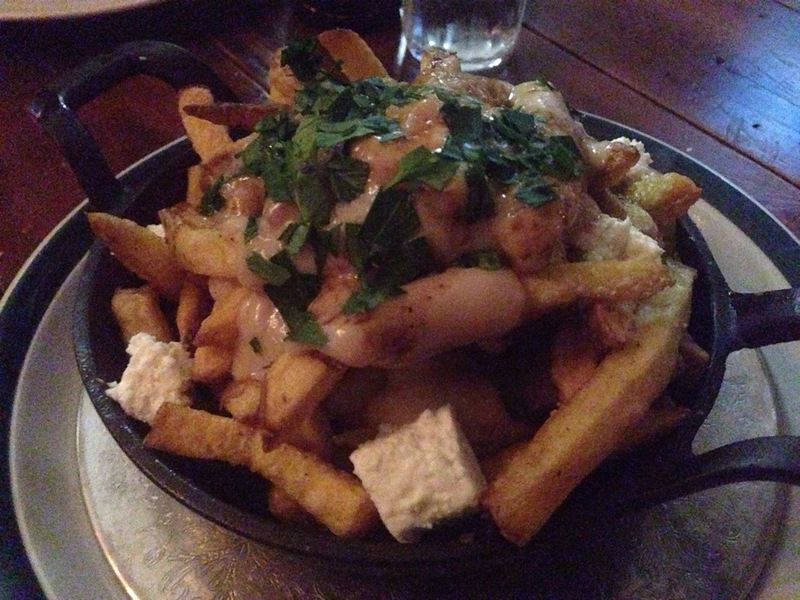 The poutine was the star of the night, and will probably prompt a revisit with friends who are now itching to try it!